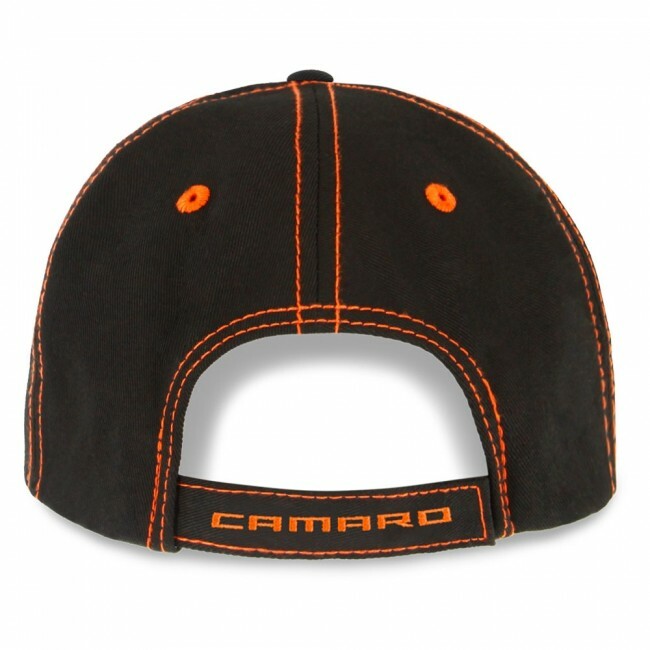 Keep it laid back with this structured cap. 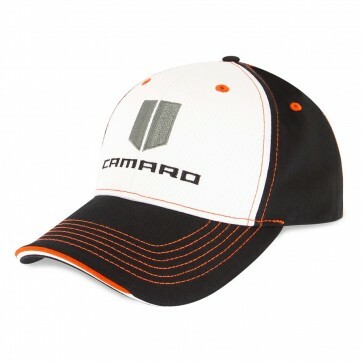 This cap has a pre-curved bill with orange and white trim and accented with orange stitching throughout. The Camaro signature and silver Hood Stripe are embroidered on the front, and the Camaro signature on the adjustable Velcro® back strap. Imported.